Hi everyone, this week I decided to make the top 5 a bit different, with the Easter theme. 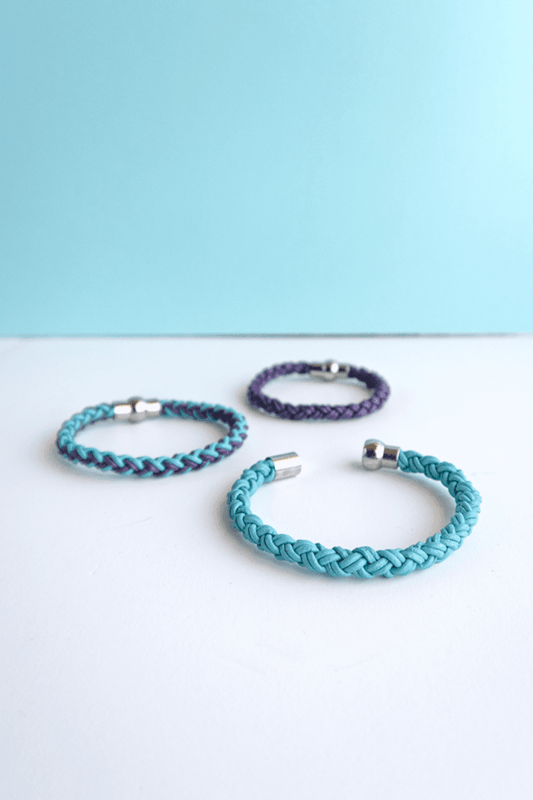 I've discovered such creative crafts and I hope you like it. 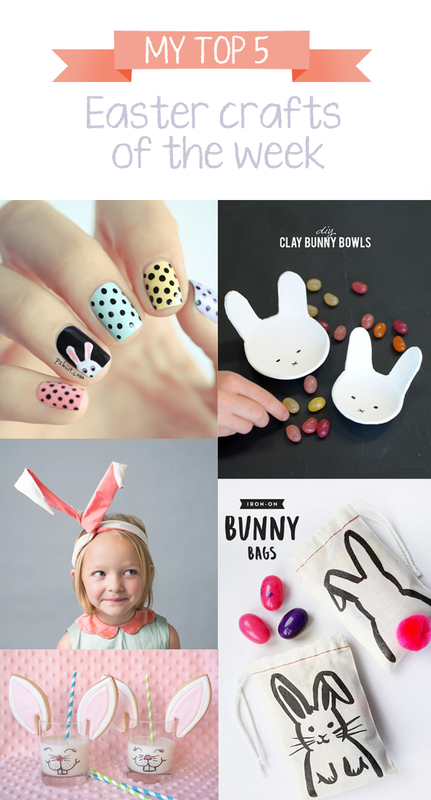 You probably already know how much I love cute and simple things and these bunny bags very quick to make. The tutorial uses already made muslin bags, but you can easily create your own. Click here to see the instructions. 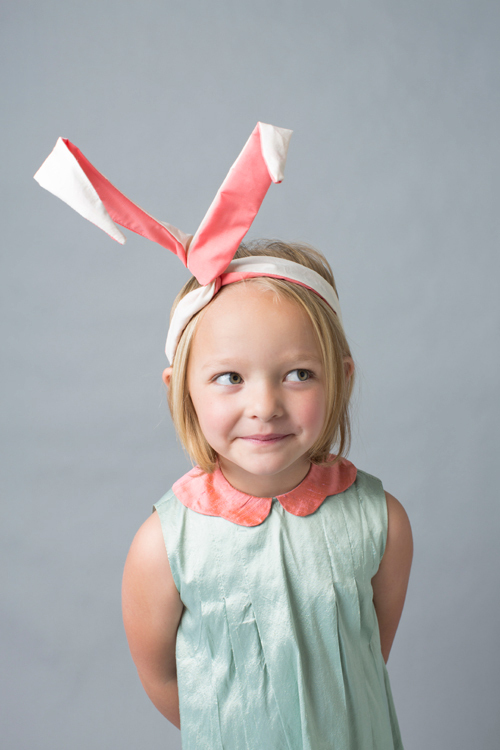 Aww, these bunny hears are so freaking adorable. This idea is from "The House That Lars Built" and you can see the full tutorial here. 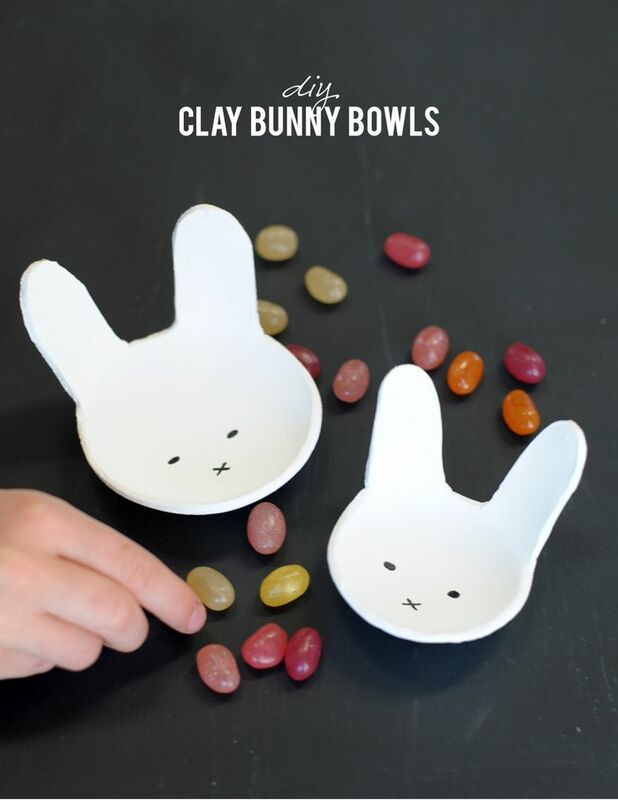 One of my go-to materials to make something simple and fast is air dry clay and these bunny bowls from alice&lois wold look great at the Easter lunch table. How sweet are these bunny hears cookies? Sue from "Munchkin Munchies" made her own template to make the cookies fit the glass and used markers to draw bunny faces. Check out the instructions here. If you have a craft suggestion leave it in the comments. They are all so cute I couldn't pick a favourite !